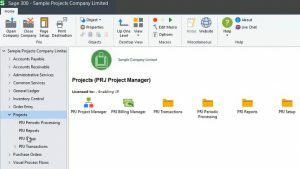 Why Choose Projects for Sage 300? From the initial estimate to the final invoice, Projects for Sage 300 provides you the tools you need to accurately plan, control and report on your projects. At its core, Projects is a Sage 300 module that runs inside Sage 300. It also has a few external components that can be accessed from outside of Sage 300. E.g. the Project Manager module allows Project Managers to create projects, review and approve timesheets, pull reports etc. This functionality can be accessible to Sage 300 users who use these external components of the system. Recognize costs and revenue as required. 2) Your month end billing is taking a week. 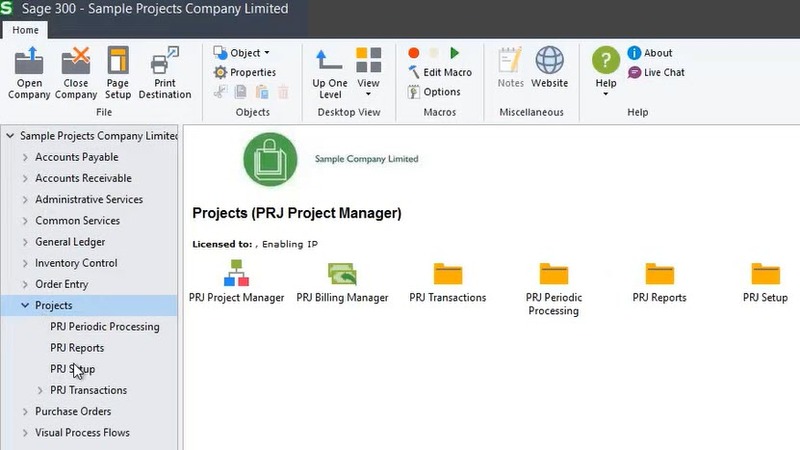 From simple summary invoices through to detailed time and material invoices – Projects has a number of powerful invoicing options as well as full invoice customization. 3) You currently use Sage 300 PJC module, but would like to see another option…Projects for Sage 300 is very easy to use. It is the most flexible Project and Job Time and Expense Costing and Billing solution for Sage 300. Andrew Telfer the creator of Projects for Sage 300 recently did a demonstration of the product for our customers. You can view the Projects recording below. For more information on Projects, contact Front Line Systems via our website or call us at 866-435-0243.